West Bengal Chief Minister Mamata Banerjee who usurped power with a promise to undo the CPM mischief seems to have adopted the same trajectory of finishing her political opposition by a mischievous mix of brute force and political power. Two states Kerala and West Bengal have in the recent past become notorious for political violence. One under the CPM rule Kerala, has witnessed three gruesome political murders in the Chief Minister’s own assembly constituency Dharmadom, in Kannur district. The macabre nature of the political rivalry, their turf and clannish pedigree, brazen political indulgence by the ruling party have become so intriguing that many film scripts have been made of CPM killing fields of Kannur. West Bengal Chief Minister Mamata Banerjee who usurped power with a promise to undo the CPM mischief seems to have adopted the same trajectory of finishing her political opposition by a mischievous mix of brute force and political power. She has inherited the violent CPM cadre gone astray after the four decade long Communist regime ended on a bizarre trail. Mamata is muzzling public discourse, banning social and political rallies and instigating her unruly goons to attack opposition party offices and leaders. Dozens of leaders including central minister Babul Supriyo and Rajya Sabha MP Rupa Ganguly have been injured in these violence. At the receiving end in both the states is the BJP and its ideological family as both have a common political tradition and the red is being replaced by the saffron by the people in their endless search for deliverance. May be because the saffronites are bearing the brunt, the national media has largely turned a blind eye to this unprecedented suppression of democratic expression and cringing acts of savage atrocities on innocent BJP sympathizers in both the states. One Aklaq incident was enough for the media to create a nationwide ruckus to discredit the BJP, though the party or its affiliates had no link, the state was ruled by Samajwadi Party which claims to protect Muslims and the charge sheet is yet to be filed. Each of the over two dozen political killings in Kerala in the last eight months after the Pinoray Vijayan government assumed office is more chilling, gruesome and result of pre-meditated and diabolic state intimidation. In the third week of the New Year three shocking political murders happened in Kannur and the adjacent Palghat districts. In Kannur in the CM’s constituency, Dharmadom, 52 year old E. Santosh Kumar was hacked to death by CPM goons. Two days before in Palghat the house of a BJP sympathizer was torched by the ruling party goondas in which two people were burnt alive. One of the victims, 35 year old Vimala, was the mother of two children. Her brother in law died immediately and her husband, a BJP Panchayat member is serious with burn injuries. The children also received burn injuries. 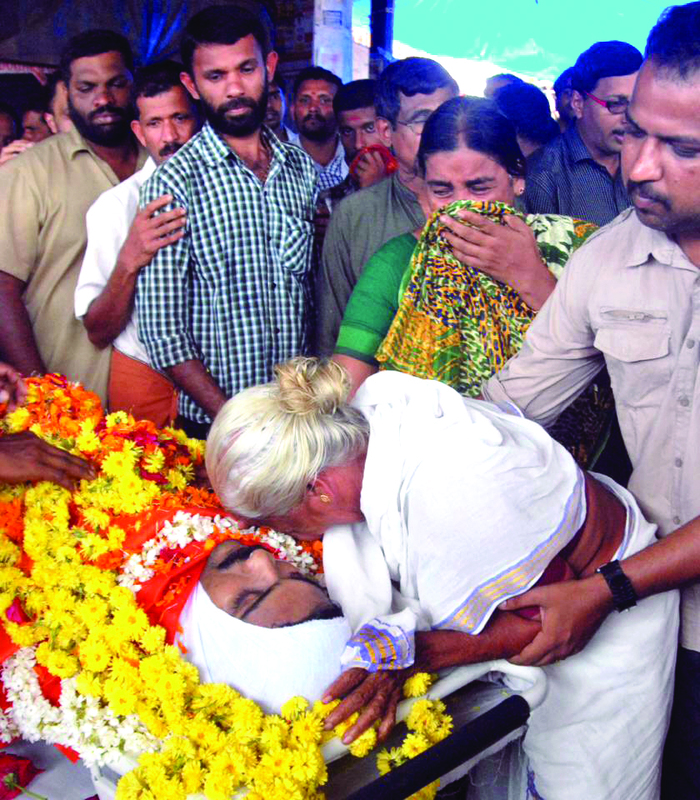 Equally heart rending was the killing of Sujith, a college student. Ever since the CPM came to power its goons have unleashed a reign of terror in the state. No part of the state is safe political opponents, particularly the RSS-BJP sympathizers as the CPM views it as the growing force. The party has lost dozens of its workers in CPM attacks which has an organized pattern. In June- July immediately after the Left Front came to power in all its strongholds in Kannur, Palghat, Trissur and Tiruvananthapuram the CPM masterminded a reign of terror against the RSS-BJP workers. The RSS Saha Prachar Pramukh J Nanda Kumar who organized a series of programmes to highlight CPM atrocities nationally calls it “Redtrocities” According to him till August the organization and its affiliates have lost 265 workers since the clashes began several years ago. The CPM has also lost an equal number of lives in these clashes and retaliatory attacks. The victims include women, children, even toddlers and old people. Is it all worth it? One victims Sadanandan Master, whose both legs were hacked away and left to die bleeding, but survived, became the inspiration for Advaita Kala for her touching film on the Kannur turf wars. It is with savage ferocity that these endemic political atrocities are schemed and executed by the Red brigade. The real culprits are never caught, the party plans and it decides how to commit the crime, who will execute it, and who will surrender to the police if it becomes inevitable. Because of this criminal-party nexus and their overarching sway on the prison inmates the Kannur central jail have become notorious, becoming the subject of many salacious stories on jail breaks, drug peddling and rule violations with political sanction. Killing political opponents has been a long time tactics of the CPM. Every party in Kerala, even its own ally, the CPI has been on the receiving end. In May 2016, when the Left Front gained power it was expected that the CPM will turn a new leaf, and the declining graph of the party nationally will force it to modernize and democratize its cadre. That did not happen. 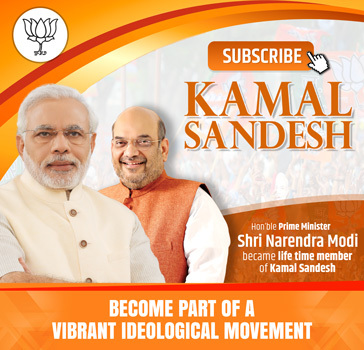 Instead it identified the Sangh and BJP as its chief adversaries and as if in a well thought-out strategy went about annihilating and attacking the BJP cadre. Hundreds of workers of the Sangh were maimed in these attacks. The BJP and RSS held a number of protests throughout the state. On January 21 the women wing of the outfit held dharnas at all district head quarters to protest CPM violence. A delegation led by state chief Kummanam Rajesekharan and veteran lone BJP MLA O. Rajagopal met the Chief Minister and pleaded with him to visit Kannur, hold all party peace meet and restore confidence. Twice the BJP state leaders met the central leaders and pleaded for intervention and placing Kannur under central forces. A number of state leaders have been provided central security as they fear threat to their lives. But these leaders are saying that they want to surrender this cover as their party workers are anyway unsafe. On January 24 the RSS-BJP workers are holding a protest march at Jantar Mantar which is going to be addressed by Sangh Saha Sarkaryavah Dattatreya Hosebole. Drawing the national attention to the CPM atrocities has been the strategy of the pariwar. It can fight the CPM lumpens at the local level but how can it fight the state power which is hand in glove with these lumpens. The BJP central leadership has sent two party teams to study the situation in the recent past. It did the same in the case of West Bengal as well. In Bengal too BJP workers are not safe. Mamata Banerjee even tried to ban the Makar Sankranti rally of the RSS Sarsanghchalak Mohan Bhagawat. Later the high court intervened and allowed it. It is puzzling that the two states which are in the forefront of liberal and progressive values are today reeling under intolerant despotism and political mayhem. Willy-nilly these regimes are not only becoming self defeating but also they are inviting central intervention to restore People’s safety. The state governments are clearly failing in their primary duty.